Normally, I ask my friends and fans for input for my next shared book, but I felt so compelled to share Something New, I’ve simply decided to do it. 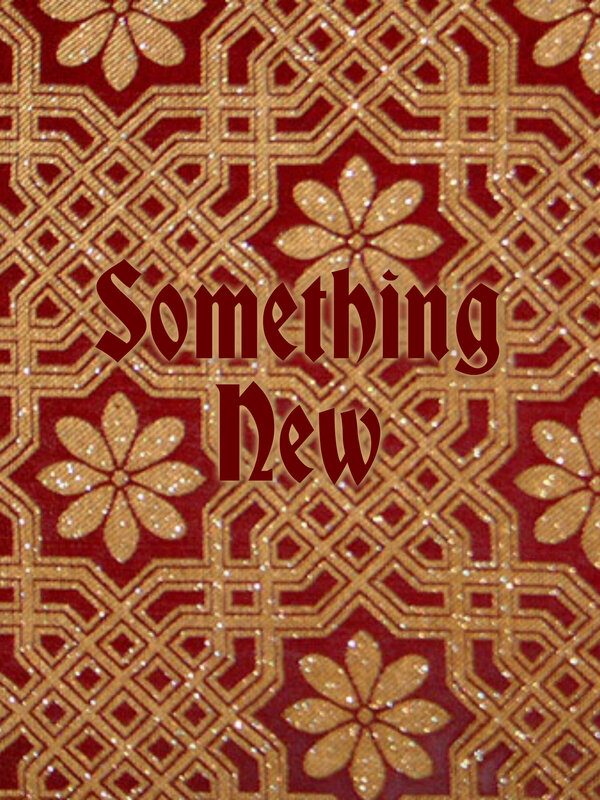 Something New is a novel I wrote from June 25 to June 29, 2014. I got the idea and off it went. I love when stories arrive like that, all in a whirl. I dove in and let the tale embrace me. This one was especially fun and I hope I did the story justice. Austin Templeton is a young British actor who looks enough like Matt Smith to engage the American Doctor Who fans. He’s been hired for a sci-fi adventure called The Magician. A quiet man, he is finding fame challenging. I absolutely fell in love with this character, and his female counterpart, which is one reason I think it was so easy to write. There is something so genuine and endearing about Austin. I also like his leading lady. She’s a lovely girl, who doesn’t seem all that impressed with Austin when they first meet. Fortunately, he wins her heart, as I hope he will win yours. The story is set in a fictitious city of my own invention. I’ve never given it a name, but it’s somewhere Up North, though not in the Northeast. I have used this location in more than one of my novels and will probably never give it a proper name, though it’s become very real to me. I hope you enjoy Something New. Something New begins Wednesday June 10. New posts go up at midnight each Wednesday and Sunday. ← Dellani’s Alphabet Challenge Letter F – Finally Finished That Novel!